Notepad Corner: E-books or Paperback Books; Which One Would You Prefer? 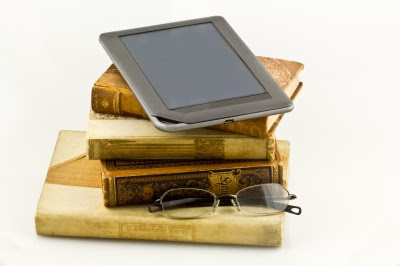 E-books or Paperback Books; Which One Would You Prefer? These days has been said to be the era of the tablet PC and almost everyone has been trying to acquire one. Before the sleek gadget’s birth, E-book readers came in first for those who want to carry along their favorite books anywhere. However, book enthusiasts still prefer the paperback and would continue to invest on it no matter what happens. This is just normal, as change doesn’t come in easy. Even the transition of printing press from the hand written books didn’t happen immediately. Paperback book readers shared that filling up their library is much fulfilling that seeing their e-readers filled with e-books. They also argued that reading from e-books can ruin their eyes faster compared to the real ones because these gadgets emit certain kind of radiation no matter how minimal it is. On the contrary, e-book buyers are just being practical. E-books are way cheaper compared to the paperbacks and the convenience that it gives is something to be noted. These days with paper and fuel’s price shooting up, prices of real books are getting higher as well. We are a family of bookworms and the 4 of us still prefer to read on the paperbacks, though I also have a collection of e-books in my netbook . What about you, which of the two platforms of books would you prefer, which one are you choosing?